I wrote this in praise of my female rabbinic colleagues. I have always been impressed by how women rabbis are able to juggle motherhood with the daily grind of the rabbinate. I wish a happy Mother's Day to all the "Rabbi Mommies" out there - many of whom have made a profound impact on my own rabbinate. On a recent trip to Berlin with a dozen other Conservative rabbis, we made certain to stop at the apartment building that Regina Jonas once called home (photo below). I had never heard of Jonas before, but to the four female rabbis in our group she was a hero. In 1935, she became the first woman in the world to be ordained as a rabbi. 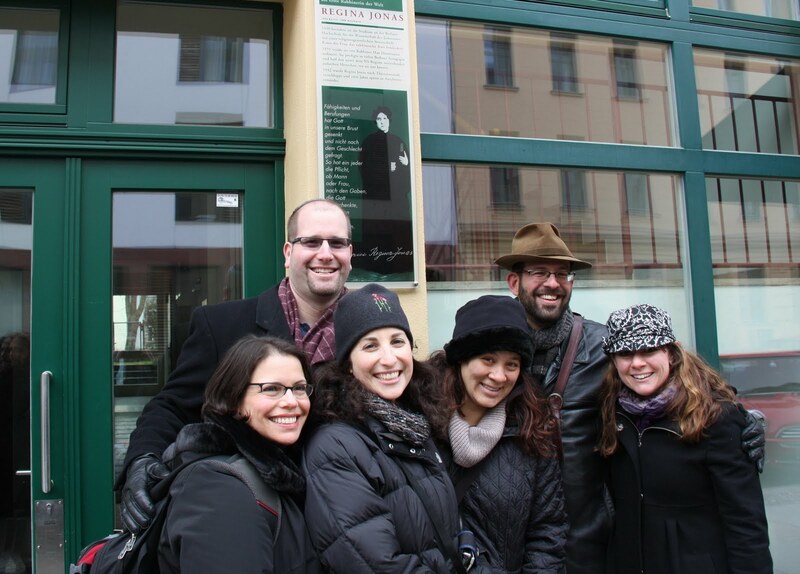 My colleague, Rabbi Gesa Ederberg, hosted our group at her beautiful Berlin synagogue during our visit and doubled as a knowledgeable tour guide. We also had the opportunity to meet with rabbinical students at the Abraham Geiger College, where in 2010 Rabbi Alina Treiger became the first woman to be ordained in Germany since Jonas. Today there are hundreds of inspiring, smart and passionate women rabbis who have followed in the steps of Regina Jonas. As another “rabba” will soon be ordained, American Jews are just getting used to the idea of female rabbis in the modern Orthodox world. However, in the more progressive streams of Judaism women rabbis have been on the scene for decades and are now part of the fabric of everyday Jewish life. In fact, one funny anecdote demonstrates that for some of the youngest members of the Jewish community, women rabbis are the only form of rabbi that exists. A female colleague tells the story of when she introduced her 5-year-old son to a male rabbi, he reacted in shock: “But Mommy, I thought only ladies can be rabbis.” Out of the mouths of babes! In Newsweek magazine’s recent ranking of the top U.S. rabbis for this year, there were many more women listed in the top. Among these superstar rabbis were women who are leading institutions and large congregations, as well as highly sought after authors and entrepreneurs who have launched their own communities. Like other professions in which women were once not welcome to join, the rabbinate has been forced to learn how to accept female rabbis into the ranks. Certainly, this acceptance is most challenging for the oldest generation of rabbis who came of age in the “Old Boys Network,” a rabbinate sans women. Middle-age rabbis were the first to welcome women into the profession, but also have memories of the controversy that took shape around the seminary doors opening. But for the younger rabbis (and I include myself in this cohort despite the fact my doctor tells me I’m aging a bit each day), there have always been women rabbis and we wouldn’t want it any other way. I recall the first time I jumped into a New York City cab and noticed that my driver was a woman. I did a double-take, but then things progressed as usual. She got me to my destination, I paid the fare and her tip, said thanks, and was on my way. Not so with female rabbis, however. There are noticeable differences between the sexes and we shouldn’t pretend they don’t exist. Having women as rabbis has added immensely to all aspects of Judaism and these female rabbis have helped shape the conversation. Women rabbis have added beautiful new rituals to our tradition. They have introduced spiritual rituals that most men wouldn’t have dreamed up like prayers for fertility, teachings at the mikvah, and meaningful customs following a miscarriage. Women rabbis have brought naming ceremonies for our daughters to the meaningful level of the bris. They can relate to the teenage bat mitzvah girl in ways that male rabbis never could or would never even try. Their commentary on the Torah and Talmud is fresh, and they can provide voices to the hidden personas of the many female characters of our rich text that have been missing for generations. When I was in rabbinical school, I gained new perspectives from my female peers who at the time numbered just one-third of the student body. I cherish the wonderful professional and personal relationships I have with our female rabbis in town. They offer so much to our community and I feel sorry for the previous generations who missed out on the female rabbinic voices. Many women might yearn for the day when we no longer use the term “woman rabbi” or when the Forward doesn’t publish a list of the top fifty women rabbis. But we should embrace the changing face of the American rabbinate. 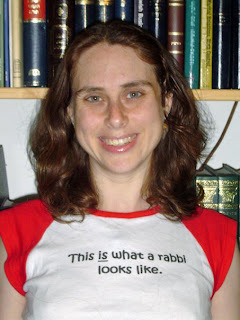 Men and women are different creatures and so too it is in the rabbinate. It will only be to Orthodoxy’s benefit to welcome more women into rabbinic leadership roles. Regina Jonas would be proud. "This is what a rabbi looks like"? Have you ever looked at photos of rabbis throughout our history? Interestingly enough, they look nothing like this. I certainly hope you didn;t mean Orthodox rabbis. The ones you refer to had begun a short time ago, and will not continue much further. In due time, the truth will emmerge. I hope you find the truth soon.